The national Chinese chess championship for women will take place in Xinghua, May 25 – June 6, 2009. Top seeded will be GM Zhao Xue, who is world junior champion in 2002, and has recently had strong performances at invitation events such as the North Urals Cup. She will have strong competition from the norm seeking Ju Wenjun and Tan Zhongyi, both around 2450, but with no title yet. 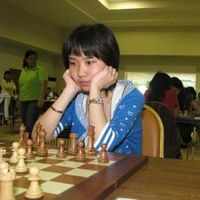 WGM	Shen Yang will also be a strong contender for Zhao Xue, and she had already eliminated her once in the second round of the Nalchik World Women Championship. The threat for all will be WIM Zhang Xiaowen who just finished with impressive score at the Asian continental chess championship. Here is the full list of participants and the pairings by rounds.